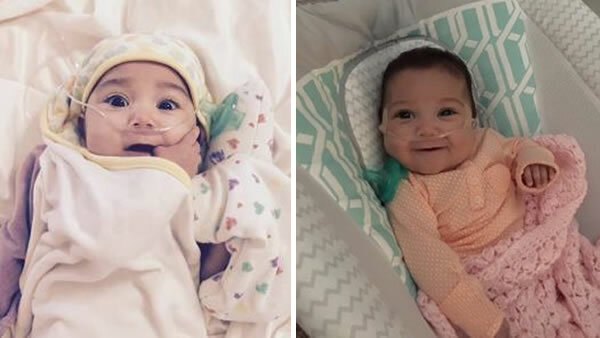 STANFORD, Calif. (KGO) -- Parents of a very sick little girl are thanking ABC7 News viewers and the community for helping them in a difficult time. 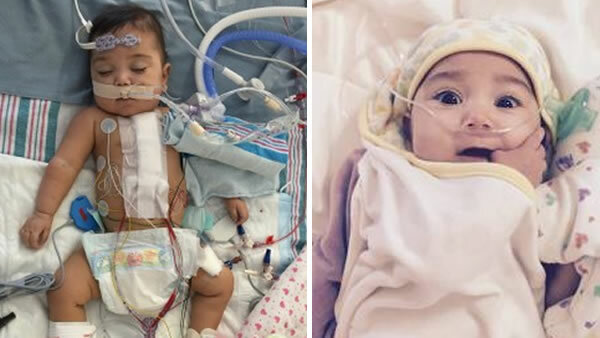 One-year-old Paloma Bartocci was born premature with a congenital heart defect. Her parents came to Stanford's Lucille Packard Children's Hospital last Friday for a life-saving surgery on Wednesday morning with Dr. Frank Hanley. They've spent their savings on medical bills and have nowhere to stay. They've been living at the hospital. ABC7 News aired their story Sunday night and now Motel 6 is giving the family 10 free nights and other strangers are reaching out. "We've also had awesome people from the community come forward all the way from Livermore, offering spare rooms or if they leave town, offering their place while out on a business trip," mother Marlena Bartocci said. A crowd funding site has raised nearly $22,000. If you'd like to help the Bartocci family, click here.